Some aspects of health may encourage us to look at things a little differently—and in some cases, in a much, much smaller way. We ask ourselves: why am I feeling more tired today? Why do I feel more fatigued? Why can’t I focus? Why am I getting sick so much? It’s so hard to get started exercising—and why can’t my energy get me through the workday? To find answers, we look at diet and lifestyle. How much we exercise and eat—and especially what we eat—can all have a hand in this. Beneficial approaches to health, such as avoiding stress burnout, boosting immunity, getting better quality sleep, and – for men— boosting testosterone and fertility can help solve these problems. There are so many natural ways to do this, and each of them can be considered “holistic”—that is, looking at the bigger picture of health in general to find solutions to its smallest (but peskiest) problems. And while this perspective is important, looking at things holistically can be a lot more than stepping back and studying the big picture. In fact, for greater insight into solutions, we can take out the microscope. Let’s step closer—much, much closer—and look at the smallest parts of health that affect us all: the ones that take place at the cellular level. After all, it is in our smallest of cells and all their parts that all the most important exchanges and effects happen. Out of any aspect of health on the cellular level, none has been more illuminated, researched, and debated than mitochondria. And as it turns out, these tiny organelles found in each one of our cells has enormous implications for our health in many ways. Despite being microscopic, the roles they play in everything we do is astounding. Mitochondria are found in the cells of almost all eukaryotic life, which spans the majority of all multi-celled organisms (and some single-celled organisms): plants, animals, fungi, humans, and more. Their dominant role: the creation, consumption, and long-term storage of energy that the body uses, in addition to a few other functions. Scientists have taken some very close looks at these cellular dwellers, and have found that they aren’t all that different from bacteria in some ways—and in fact may be an evolved form that has remained in our cells today. Mitochondria even have their very own unique sets of DNA stored within their structures that differ from our own, which we store elsewhere in our cells. Because mitochondria are found in all our cells, they are in effect found everywhere in our bodies. Still, the number of mitochondria one finds in any given cell throughout the human body differs greatly. There are no mitochondria to be found in the red cells in our bloodstreams, for example—while in other parts of the body, there could be up to thousands found in each cell in our brains, muscles, hearts, and livers. More important than what mitochondria are, is what they do. When one gets down to it, mitochondria may be at the very center of all that we do—maybe even all of health itself. In a nutshell, mitochondria are responsible for our energy. They at once produce the energy we need, they process the energy we need for various functions, and they also store the energy we need for much, much later and over longer periods of time. One can see that for mitochondria to do all these three things adequately, there must be some sort of balance that is kept between all three. What more, it’s obvious that for health and energy to be at its very optimum, there needs to be way more energy that is both created and stored compared to how much energy gets consumed. 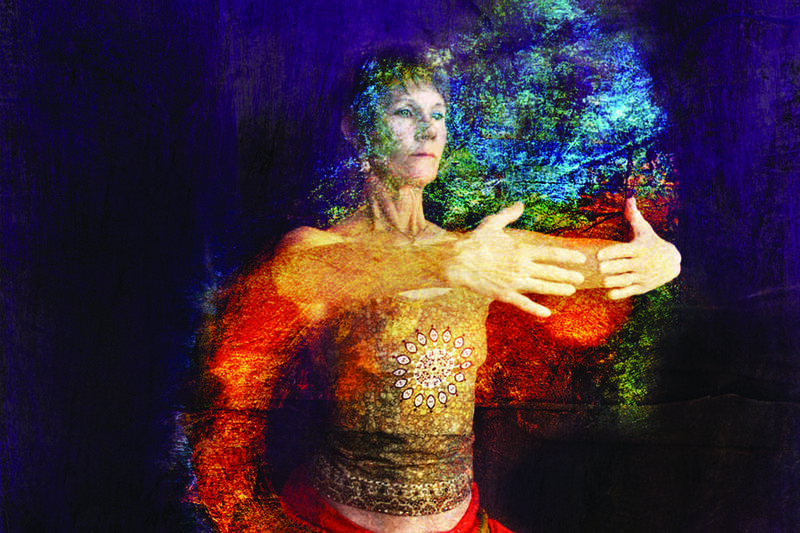 Though these actions are indeed very important to all of wellness, mitochondria are most well-known for—and vital to—the energy demands and uses in the body, while all its other actions simply branch out from its biggest, most basic purpose: storing, creating, and using energy in the form of ATP. Can energy actually be looked at, quantified, and measured? Apparently yes, it can, and it has its own physical form—and the very closest thing to it would be ATP in mitochondria. ATP is a 3-letter abbreviation for adenosine triphosphate, the closest thing in the human body that one could observe as energy in a storable, chemical form. Some scientists refer to it as a form of “currency” showing just how much energy is usable and available. Famous osteopathic physician and best-selling author, Dr. Mercola, describes mitochondria and ATP succinctly in his recent 2017 article. “The membranes allow your mitochondria to store energy, similar to a battery, and use it for oxidative phosphorylation, a process the mitochondria use to generate energy in the form of ATP,” he finishes. Mercola also makes note of a 2015 study that shows ATP in mitochondria are, in fact, the body’s most important energy source—for practically everything from exercising to basic organ functions. MITOCHONDRIA AND HEALTH: WHAT’S THE CONNECTION? Mitochondria, ATP, energy—connecting the dots here is easy. But how does this connection tie into overall health in all of its complexity? Take if from Chris Kresser, functional medicine practitioner and paleo diet patriot in his 2015 article. Though storage and production of energy seem basic enough, the need for healthy, functioning mitochondria goes far beyond that. Josh Axe, another top health expert, establishes yet more connections between mitochondria, ATP, and various illnesses and signs of unhealthiness in his own article—even to the point of saying that many people may be in the midst of mitochondrial diseases without even knowing it, and without established cures in sight. So what exactly can cause mitochondrial dysfunction and energy difficulties? “Secondary mitochondrial dysfunction results from the influence of environmental factors (such as toxins, poor diet, etc.) that can damage the mtDNA,” he concludes. In essence, weak mitochondria and low energy is something that can be inherited genetically, or it can develop from poor health habits and diet—or, both. But how can one tell if their issues might relate to mitochondria? Axe continues to describe mitochondria’s causes, as well as symptoms. “Because mitochondria perform hundreds of different functions in different tissues throughout the entire body, mitochondrial diseases produce a wide spectrum of problems, making proper diagnoses and treatment hard for doctors and patients,” he says. He also cites inflammation, genetics, and developing chronic diseases (like type 2 diabetes) as factors. For most people, however, there are tell-tale symptoms that mitochondria dysfunction could be taking place—though it can be easy to confuse with other health issues. “Older people can develop diseases related to mitochondrial dysfunction, including dementia and Alzheimer’s disease,” he concludes. While mitochondria can lead to very subtle and manageable health issues, that’s not to say that they can develop into bigger diseases that are a whole lot worse to handle. Fortunately, keeping healthy mitochondria isn’t rocket science. Just like maintaining a healthy immune system, curbing inflammation, tending digestive health, or keeping hormones in balance, mitochondrial health is just another dimension of health we need to keep tabs on—and this is certainly possible with the right empowering health choices. One way people can do this is to be aware of mitophagy, and instilling good habits—diet, exercise, and otherwise—that encourage mitophagy on a cellular level. But what is mitophagy? Dr. Rhonda Patrick, PhD, explains this in a 2017 podcast interview she appeared as a guest on The Tim Ferriss Show. “…to clear away damaged mitochondria and [recycle] their components for energy, called mitophagy, [is] followed by a concomitant generation of new mitochondria (called mitochondrial biogenesis),” says Patrick. Essentially, mitophagy is the ability for the body to get rid of and recycle non-working or bad mitochondria to make way for newer, healthier organelles. But how can one kick mitophagy into high gear? So far, science says this is uncertain—but that it may be encouraged by healthy oxidation, which can, in turn, be encouraged with adequate antioxidants. It also appears that the healthy production of certain proteins is vital to this, too, making exercise and protein consumption important. Patrick gives another insight: fasting. “…not only does fasting clear away old, damaged mitochondria, it also generates new young healthy mitochondria to replace the damaged ones,” she says. Healthy, reasonable, and intermittent periods of fasting could certainly be beneficial, though it doesn’t seem that mitophagy can be encouraged strongly by any specific other means. “There has been some evidence suggesting a low-carb, high-fat diet (ketogenic diet) may modestly increase mitochondrial biogenesis, but [it doesn’t increase] mitophagy,” says Patrick. Fasting and plenty of antioxidants may be the key to encouraging mitophagy, which can be a healthy, helpful process to keeping one’s mitochondria all well and good. But beyond mitophagy, there are other ways to keep mitochondria in a healthy and happy state, and which could be easily incorporated into our lives. Chronic inflammation is the natural consequence of free radical damage, which can be caused in part by mitochondria. This also increases one’s vulnerability to cancer, autoimmune disease, general chronic disease, and more. As such, the first step to great mitochondrial health: reducing inflammation. Dave Asprey, CEO of Bulletproof, gives his inflammation-soothing tips. “Ways to dial down inflammation include…fasting, exercising, taking a quality [omega-3 fatty acid] supplement, and…[replacing] inflammatory foods like grains, dairy, and omega-6 oils with anti-inflammatory, nutrient-rich fats, meats, and vegetables,” he says in his 2016 article. Sleep actually plays an enormous role in resetting immunity, which in turn also helps reduce the chances of chronic inflammation, autoimmunity, oxidative damage, higher incidence of disease, and mitochondrial issues. Josh Axe is a proponent of getting high-quality sleep for mito health. “…getting plenty of sleep and not overexerting yourself is important,” he says. When those with weakened mitochondria can and do find the time to exercise, they absolutely should. Shorter, more intense intervals of exercise – such as running and jogging—have been proven to be more beneficial too, as described in this 2017 independent study-based article. Apparently, these types of exercises help the body create more natural proteins that could contribute to healthy mitochondrial function, and possibly mitophagy. According to Dr. Terry Wahls—author of The Wahls Protocol, a book journaling how Wahls reversed her mitochondria-related MS through diet alone—the right nutrients are imperative to successful mitochondrial improvement. Rhonda Patrick, PhD, interviewed Terry Wahls on healthy mitochondria function in 2014, where Wahls discusses the nutrition people need to maintain wellness and reduce chances of dysfunction. “You need the whole family of B vitamins, you’ll need minerals, magnesium, zinc, sulfur,” said Wahls on what nutrition was the best for mito health. “…and then because mitochondria are really packaged membrane factories…the essential fats are critical,” Wahls states. She adds that healthy fats must include saturated fats—in addition to unsaturated fats and omega-3’s—and that the American low-saturated fat diet can actually be unhealthy for mitochondria. Last but not least: antioxidants are incredibly important, and there are many sources for them which can help support mitochondria. “For slowing the aging process [of free radical damage]…The quality of the diet, the quality of the food, the micronutrient content, and the vitamins, minerals, essential fats, and antioxidants, that’s really where [mitochondrial] health is,” added Wahls. 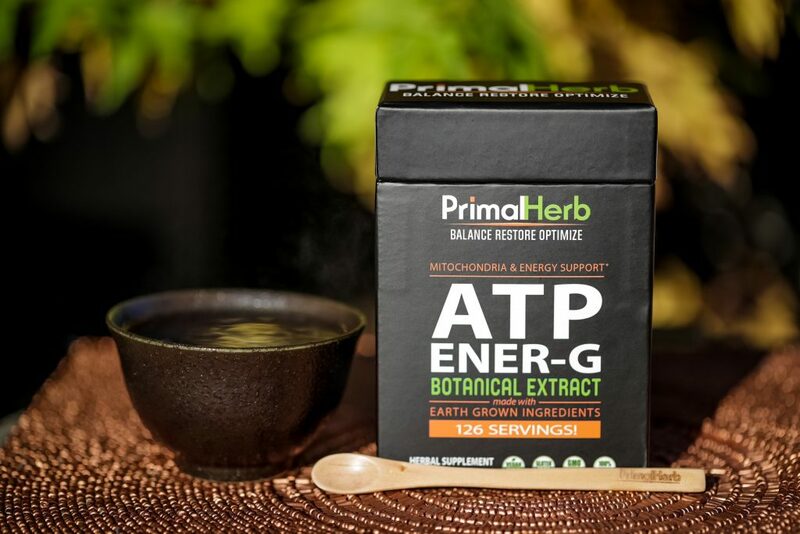 Fortunately, antioxidants can be found in abundance in a wide variety of easy-to-access foods and botanicals—including our top herbal choices for our newest ATP ENER-G herbal formula. We’ve hand-picked each of the following botanicals for their top-notch historical uses and supportive research demonstrating their antioxidant and energy-boosting potential.